On the A9 Nuremberg – Munich in the direction of travel to Munich, a new motorway service station was built in Fürholzen West. The plant provides a heat and power generation concept based on the Energy Plus standard and can supply energy in an environmentally friendly manner with the help of around 7,200 m² of photovoltaic space and a combined heat and power plant. The two buildings are linked by a curved double-gabled pitched roof. In addition, about 175 car parking spaces below three carport axes, an electrical charging station, in which there are four electric fast charging stations, and a hydrogen basement have been constructed. 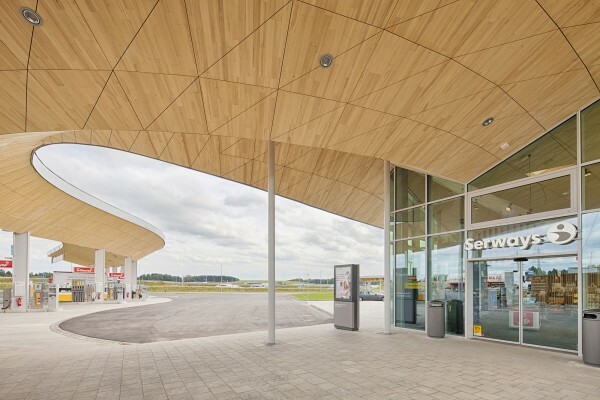 For all roof structures of the individual building parts, timber was chosen as the main building material. The roof structure of the motorway service station was erected as a folded roof construction consisting of M-shaped roof trusses perpendicular to the longitudinal direction of the building. These are ablated via curved steel profiles on the circular pipe supports in front of the façade and founded on a reinforced concrete floor slab. Inside the building, the M-binders are stored on the two massive 2- to 3-storey buildings as well as a curved steel box girder profile and follow the curved course of the building. 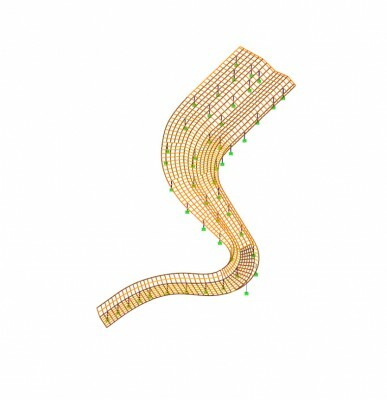 The roof cladding consists of a load-bearing sheet metal on a load-bearing OSB board. The entire bottom side of the roof construction is clad inside and outside with triangular veneer laminated wood panels. 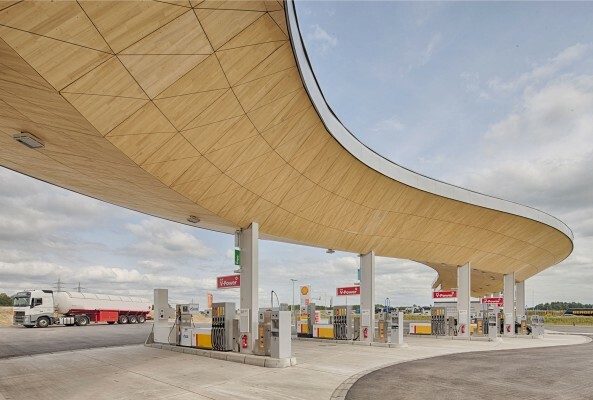 The tank roof with an area of 1,100 m², which adjoins the service station, is supported by clamped steel columns with cantilever arms up to 8m on both sides.